BRING YOUR GROUP TO THE THEATRE! Civic’s professional directors, talented community of actors, set designers and costumers combine to produce Broadway caliber theatre. Coming to Civic Theatre to see a play or musical is not only a one of a kind, memorable experience, it’s now more affordable than ever. If you’re bringing clients, employees, clubs, family, friends, neighbors or a planning a girls’ night out, we’ve got you covered! Civic Theatre is proud to offer customized event planning. VIP Lounge Access, a private reception in Civic’s War Room, and private seating in the Pedcor Box are the kind of one-of-a-kind experiences Civic Theatre can offer your group. We will work within your budget to create a customized experience including discounts and/or complimentary tickets with package purchases. To reserve tickets for your group of 12 or more today, please complete the form below button below or contact Christine Carlisle at 317.853.6311 or groups@civictheatre.org. 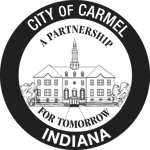 The Tarkington is located at the Center for the Performing Arts in Carmel. Free parking is available in the attached parking garage. Over 30 restaurants nearby, several within walking distance. **Please note that group confirmation and payment are due at least 10 days prior to your booked performance date. Failure to do so will result in release of seats.